What Apple Trees Are Compatible for Pollination? How Are Soy Beans Pollinated? Can Apricot & Peach Trees Cross-Pollinate? The majority of apple trees require cross-pollination with another variety of apple or crabapple tree to bear fruit. Even those apple tree varieties that are self-pollinating will produce better fruit with cross-pollination. The key to finding a suitable pollinator to pair with your tree is choosing an apple tree variety that blooms at the same time. Early blooming varieties of apple include Idared, Liberty, Empire, Red Delicious and Honeycrisp. See Resources for a full chart of all varieties cross-referenced with their suitable pollinators. Plant any of these varieties in a grid configuration for successful cross-pollination between them. The pollinators can be placed in alternating rows with your apple trees or staggered among the rows for good coverage. Remember that bees are your chief pollinators, so avoid insecticides during the blooming periods to avoid harming them. Mid-season bloomers include Gala, Golden Delicious, Granny Smith and Braeburn. The Red Delicious variety may also fall into this group as it can bloom from early to mid-season. The Manchurian crabapple also makes a good pollinator for mid-season bloomers. Late-blooming varieties of applies include Enterprise, Golden Rush and Rome. The Granny Smith variety is also one that is on the cusp between two blooming times and could be used mid-season or late-season. The Snowdrift crabapple is a possible pollinator or late-season bloomers. Some varieties of apples are sterile and cannot be used for pollination with any variety. These include Jonagold, Winesap, Stayman and Mutsu. Soy beans are self-pollinating plants, meaning that pollen is transferred in the plants' flowers without depending on insects. Buds emerge on soy bean plants and eventually bloom into flowers. The flowers produce pollen, which the soy bean plant transfers from the stamen to the pistil. This occurs before a soy bean flower has opened. Self-pollination results in bean pods, which contain the edible part of soy bean plants. Some farmers have experimented with using bees to cross-pollinate soy bean plants. Advocates of bees as soy bean pollinators claim that the insects help increase crop yields and create new varieties of hybrid soy beans. 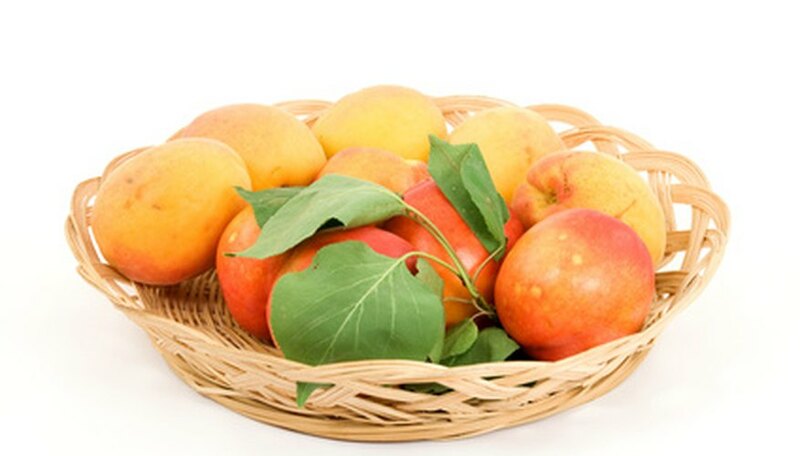 Most varieties of both apricots and peaches are self-fruitful and do not need to be cross-pollinated. However, the few varieties that are unfruitful may cross-pollinate with other varieties of the same fruit. Peaches can only cross-pollinate with peaches and apricots can only cross-pollinate with apricots. Choose a planting location with full sunlight for maximum fruit production. It will tolerate partial shade but fruit production will be reduced. The loquat prefers well-draining soil that is slightly acidic with a pH 5.5 to 6.5. Sandy loam is ideal but the tree will tolerate a wide variety of soils. Mix aged manure and peat moss into the soil when planting the loquat. Abundant organic material is appreciated by the tree. Water the loquat frequently. The tree prefers moist soil during fruit production but will tolerate drought at other times. Fertilize the tree three times per year in the spring, summer and fall using a 6-6-6 general purpose fertilizer. Apply 1 pound per tree. Water the fertilizer into the soil completely. Prune the loquat tree after fruit harvest. Remove any branches that criss-cross. Remove the tips of the branches to encourage branching. Harvest loquats when fully ripe. Loquats do not ripen once removed from the tree and unripe fruit is exceedingly acidic to the taste. 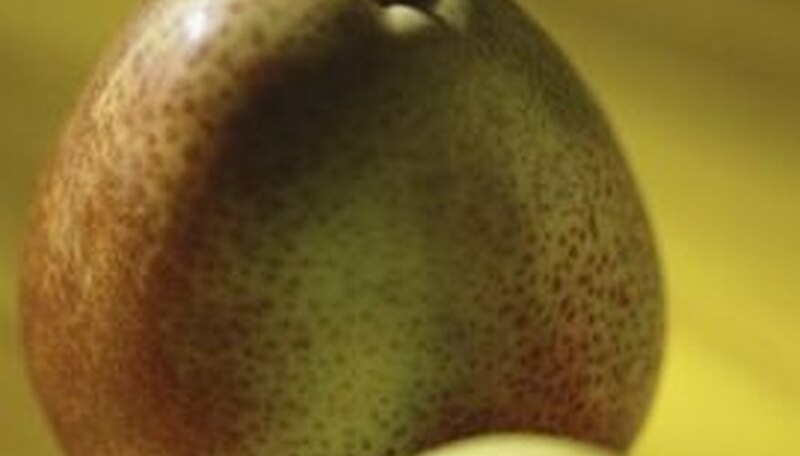 Most pear trees require cross-pollination in order to set fruit. Anjou, Bartlett, Comice, Hardy and Kiefer are partially self-fruitful but produce larger yields if fruit if allowed to cross-pollinate. Seckel cannot act as a pollinator for Bartlett. Unless you purchase a tree with two compatible varieties grafted onto a single rootstock, you will need to plant two different, compatible types of pear in order to obtain any fruit from self-unfruitful trees or a good yield of fruit from self-fruitful trees. Check with the nursery where you purchase your trees or your local extension office to ensure that the trees you select can pollinate each other. Pear trees rely on bees for pollination, yet their blossoms produce less nectar than other flowers, so attracting bees can prove a challenge. For extensive pear plantings, you may need to bring in beehives. Also choose two varieties resistant to fire blight, since the disease destroys the tree's pollen, making it ineffective for cross-pollination. Cross-pollination is a means by which plants are fertilized. It allows for genetic diversity among plants, giving them the best chance to continue their species. Cross-pollination can take place through insects, animals, humans or nature. The main flower parts that are involved in the pollination process are the stigma, the stamen and the ovule. Pollen from the male stamen of one plant must be transferred to the female stigma of another plant for cross-pollination to take place. The ovule is a housing place for the seeds to grow and develop. All segments of the female flower must be pollinated for the fruit to reach its maximum potential and for enough seeds to form. Fertilizer imbalance, inadequate water and excessive heat or cold can negatively affect fruit development. Botanists are using cross-pollination to produce a desired gene occurrence within a plant species such as size, taste, nutritional value and disease resistance. A major parasitic disease and the overuse of pesticides have significantly reduced the number of honeybees available for cross-pollination in the United States. Several companies are involved with the task of importing bee hives into commercial farms and orchards for crop pollination. Do I Need Two Cherry Trees to Pollinate? What Kind of a Plum Will Pollinate a Shiro Plum?